Chanting “Donald Trump has got to go,” nearly 250,000 of thousand protesters marched through London on Friday 13 July waving banners and banging pots to demonstrate against the U.S. president on his first official visit to Britain. Under a brilliant blue sky, demonstrators streamed through central London’s main streets carrying placards saying “Dump Trump” and “Keep your tiny hands off women’s rights”. Opposition leader Jeremy Corbyn was among the throng. Organisers said 250,000 people were protesting in London and other demonstrations were expected in cities around the country, including Windsor where the U.S. President was due to have tea with Queen Elizabeth. 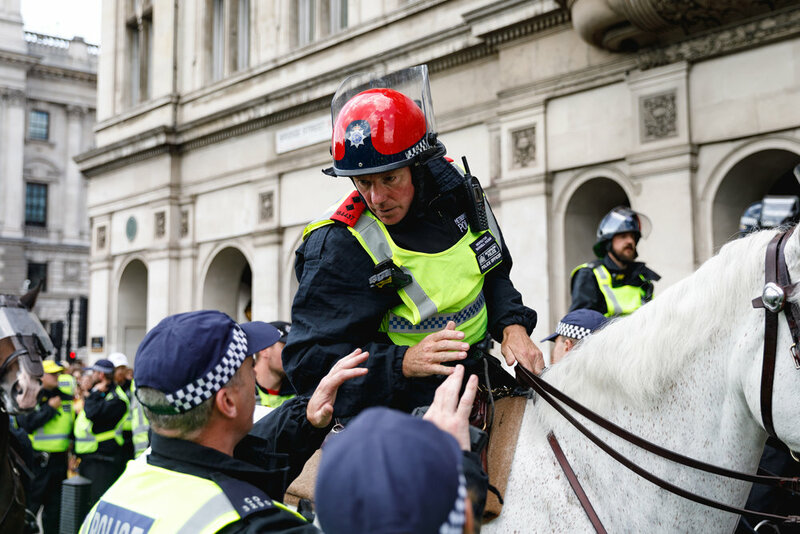 Police, who declined to put a number on the size of the demonstration, had sealed off parts of London including Piccadilly and Regent Street for marchers, while thousands filled Trafalgar Square to hear speeches. 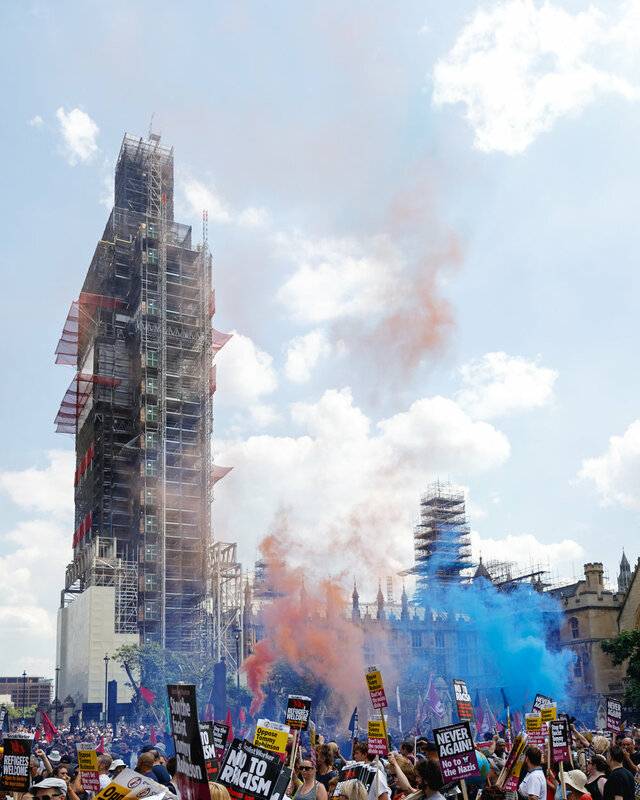 Activists kicked off the demonstrations on Friday by floating a six-metre-high (20-ft) Baby Trump blimp outside parliament. London Mayor Sadiq Khan, who has clashed repeatedly with Trump on Twitter, defended the demonstrations as free speech. “The idea that we restrict freedom of speech, the right to assemble, the right to protest because somebody might be offended is a slippery slope,” Khan told BBC Radio. 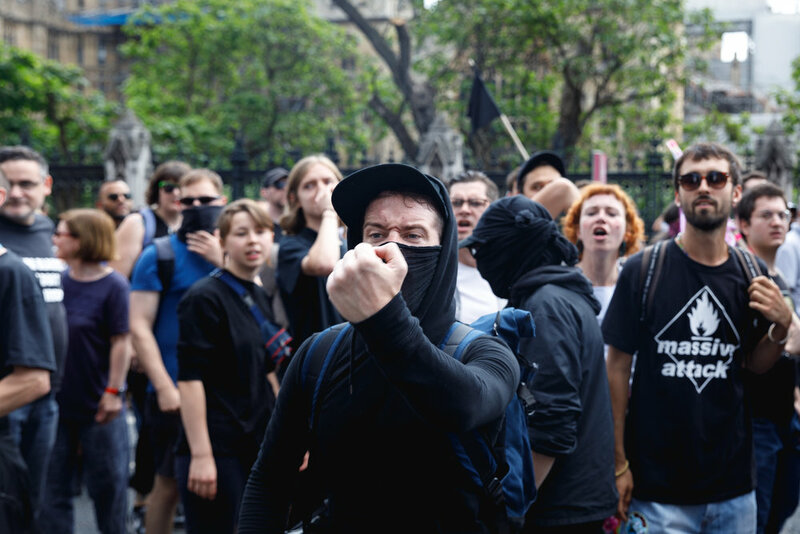 Khan said pro-Trump supporters would march on Saturday, although some were present on Friday, separated from the main demonstration by police.